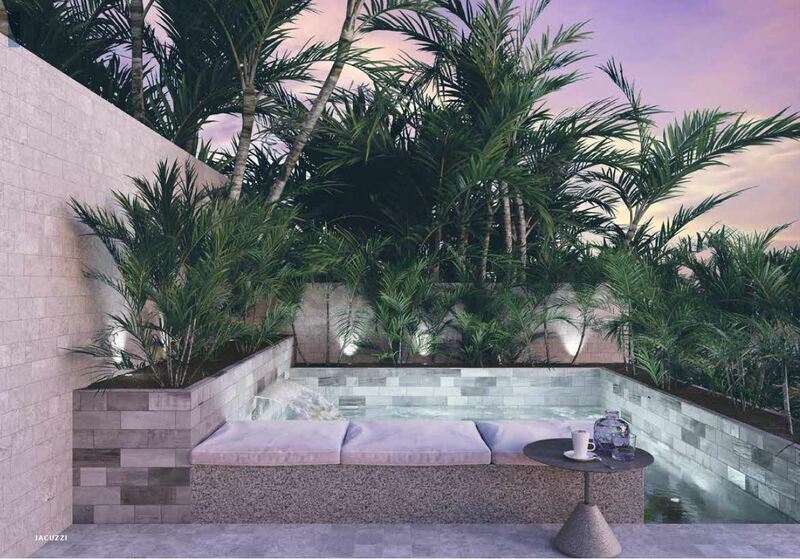 In Portuguese "Saudade" is a feeling of longing and melancholy. 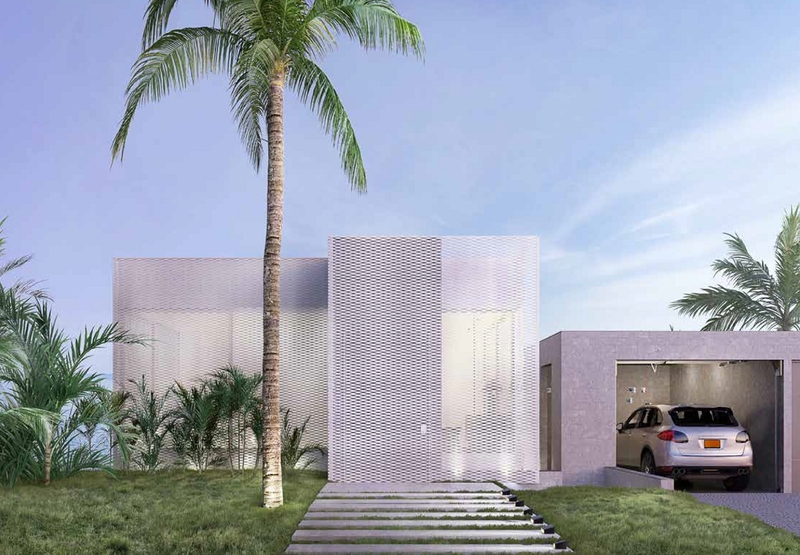 It describes the desire for an architecture for the senes, where the inside and the outside of a house is melting together to a changeable unity. 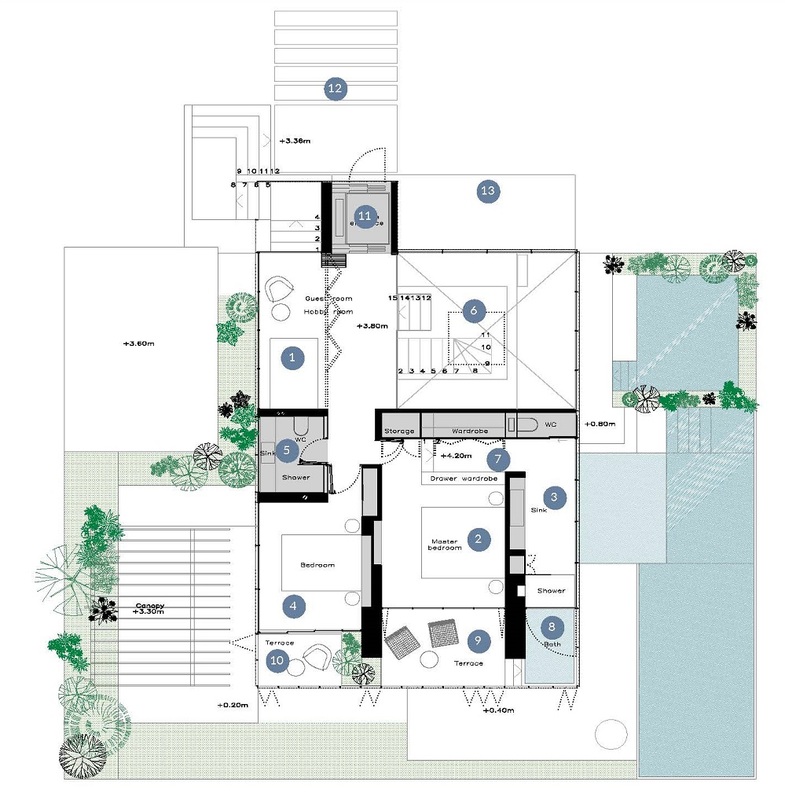 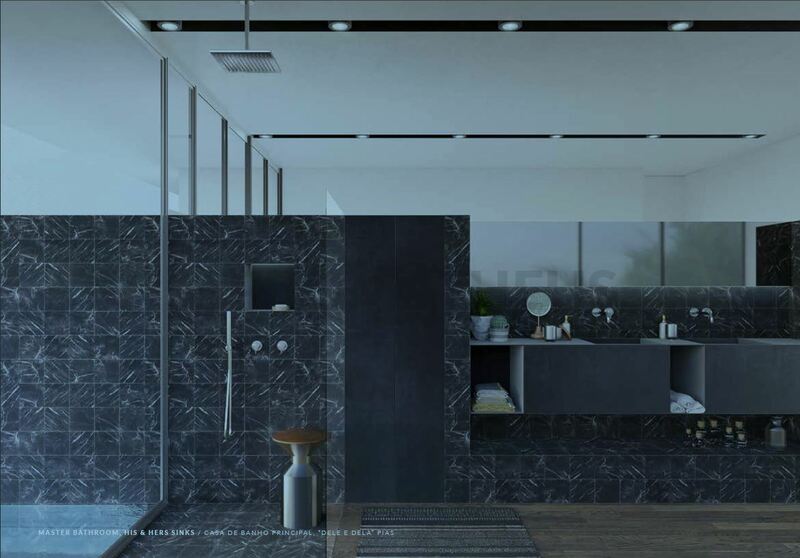 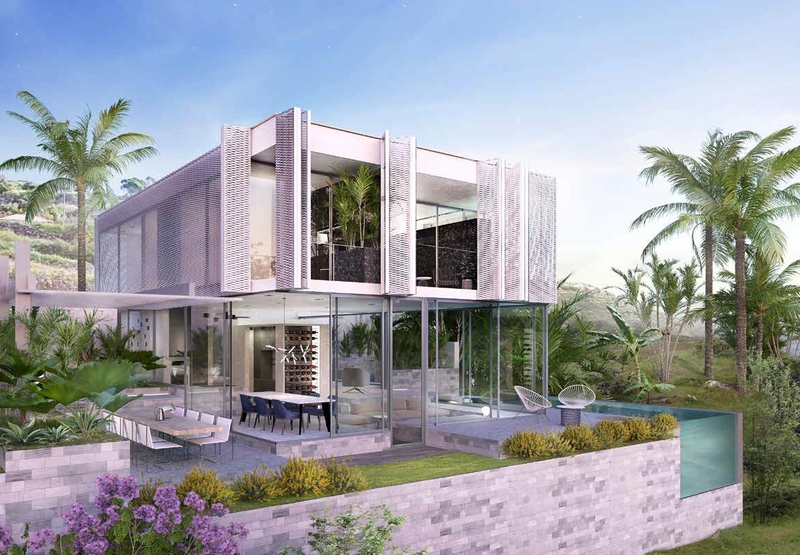 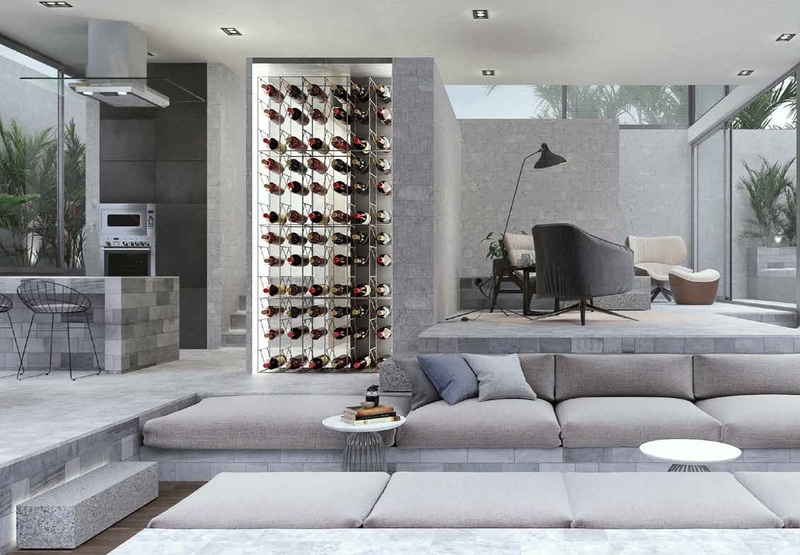 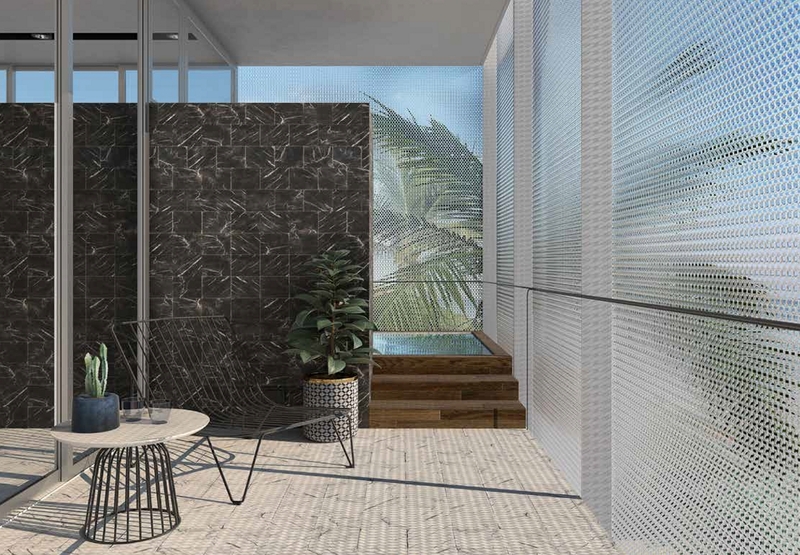 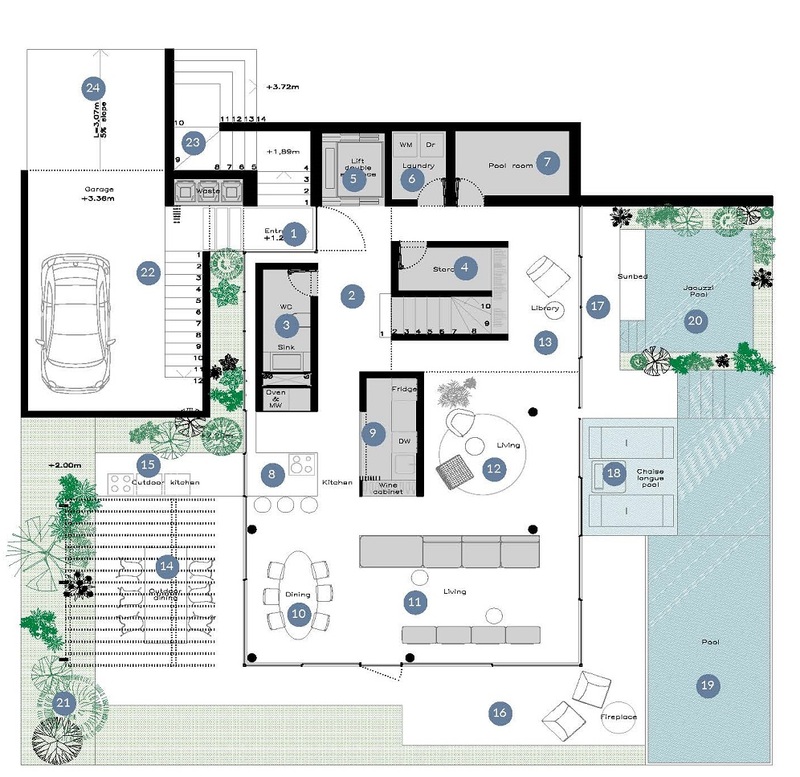 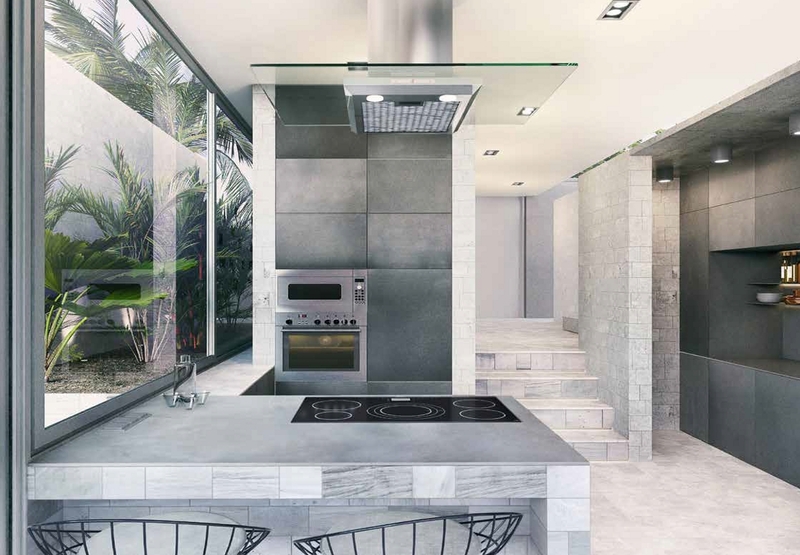 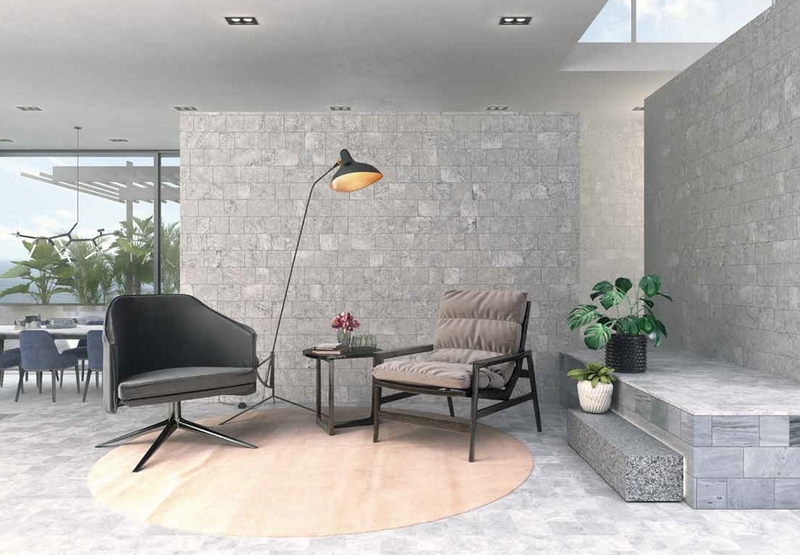 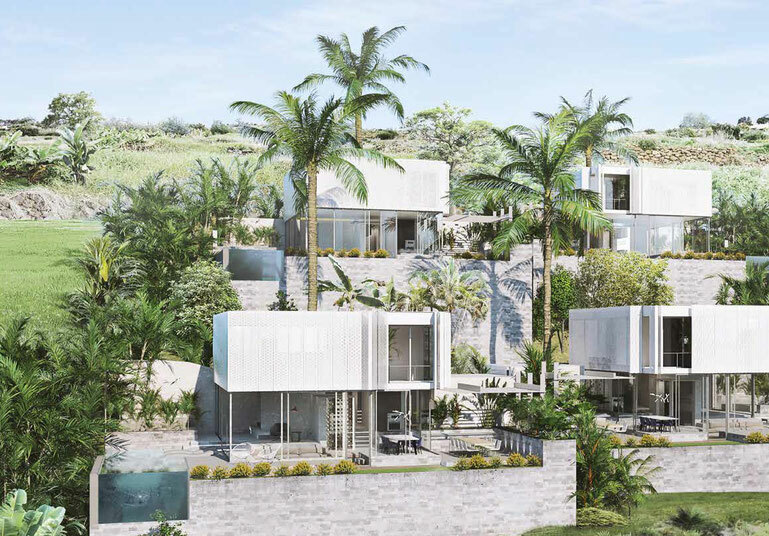 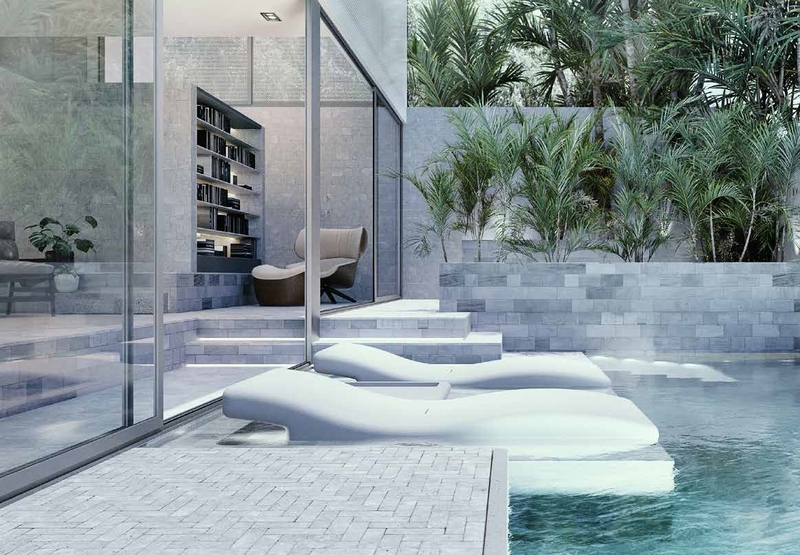 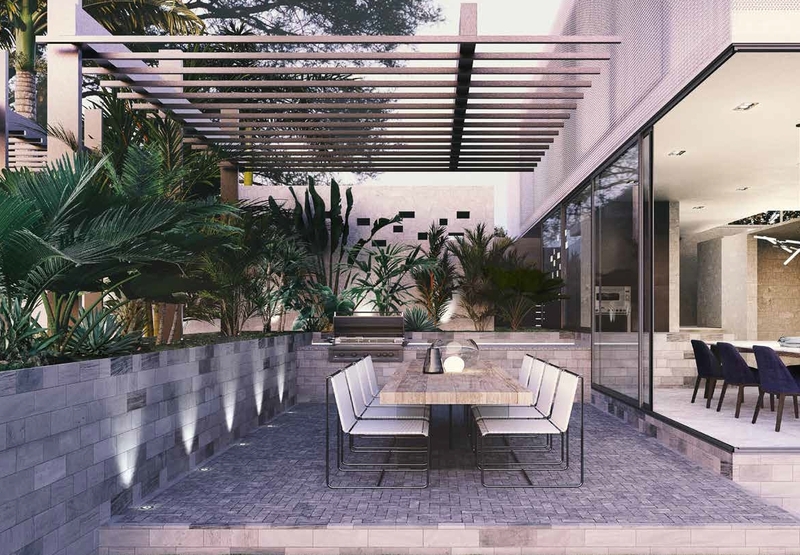 The architecture of these special designed high-end smart homes, which integrates the living spaces into the natural beauty of the environment, has already been successfully launched in Mauritius by the international development company Prometheus. 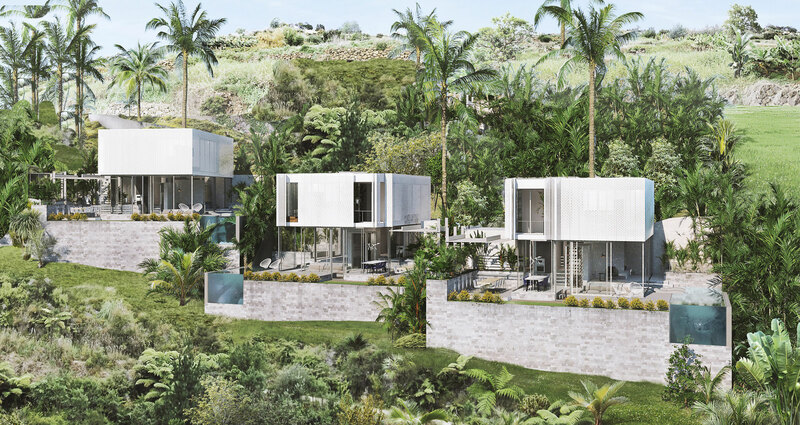 In Tabua, conveniently located between Ribeira Brava and Ponta do Sol, right on the Atlantic Ocean coastline, luxurious villas are created on a magnificent plot with the most modern natural materials such as glass and marble. 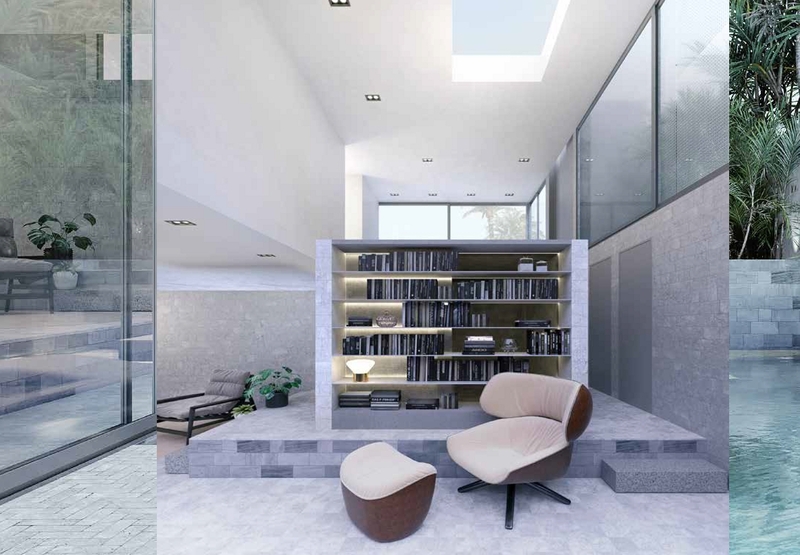 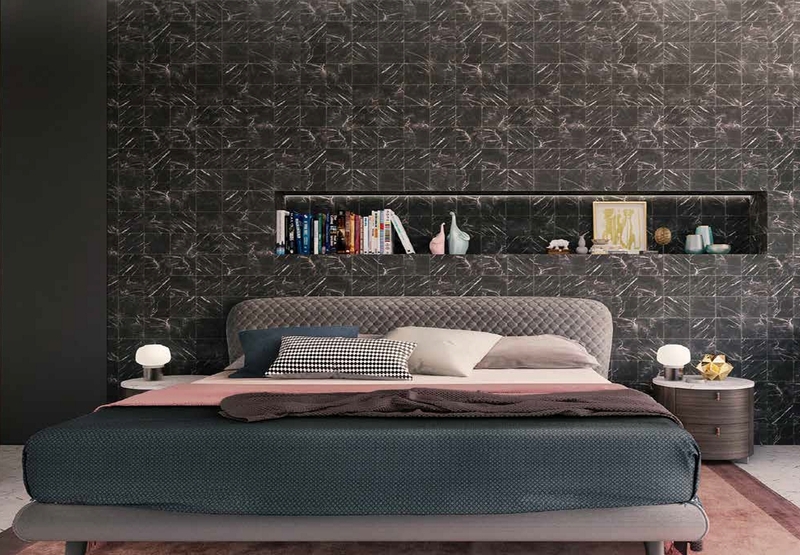 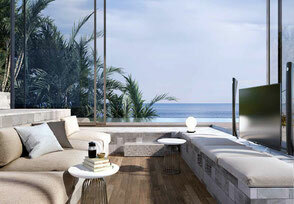 A future-oriented living space for special requirements with the highest technical know-how of minimalist architecture. 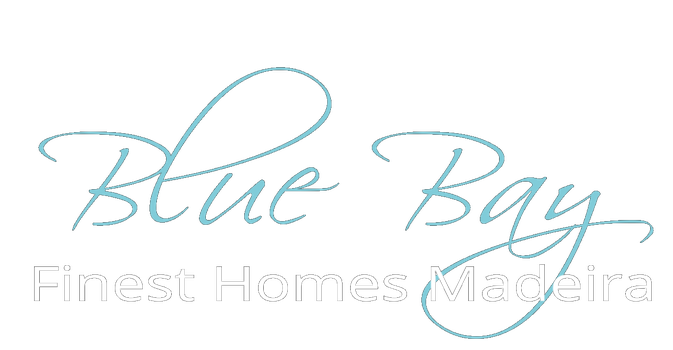 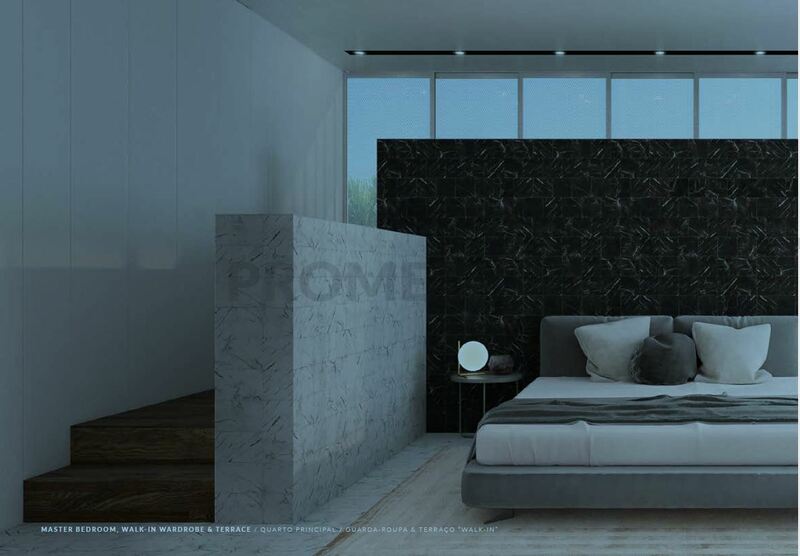 A Prometheus Villa is a seafront located smart home that provides state-of-the-art high end home technology and combines it with individual forms of living and exclusive comfort. 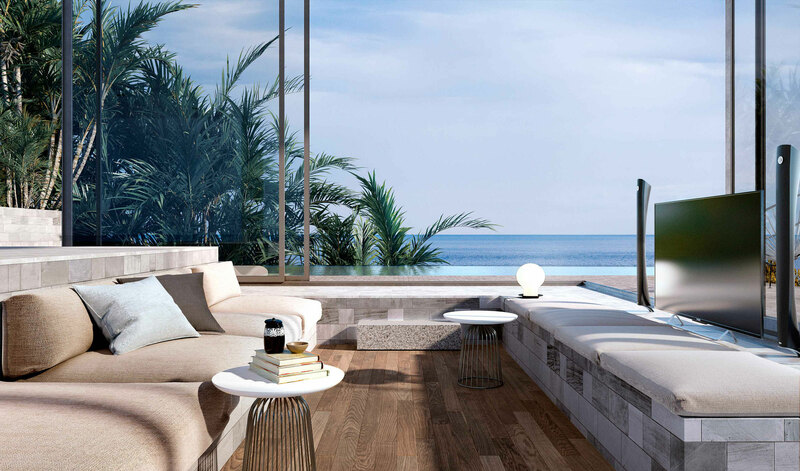 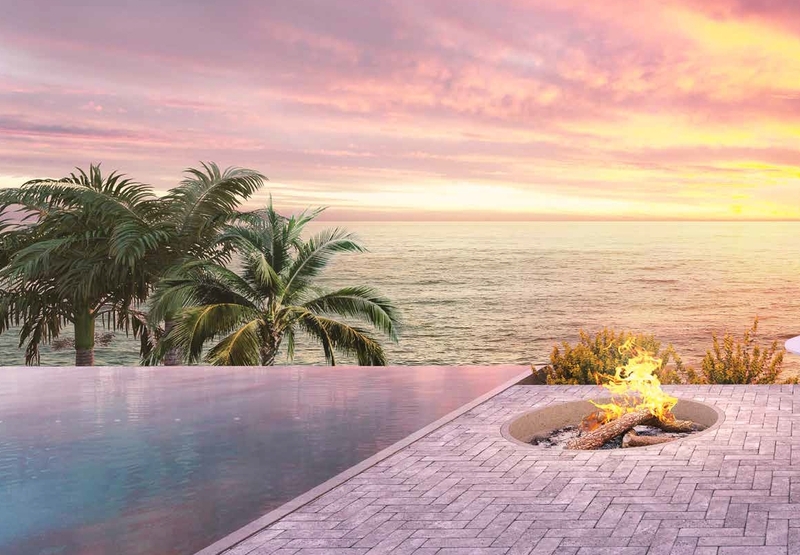 Highlights are flexible interior and outdoor areas with panoramic views over the ocean, pools and spas integrated into the architecture and intelligent lighting and shading technologies. 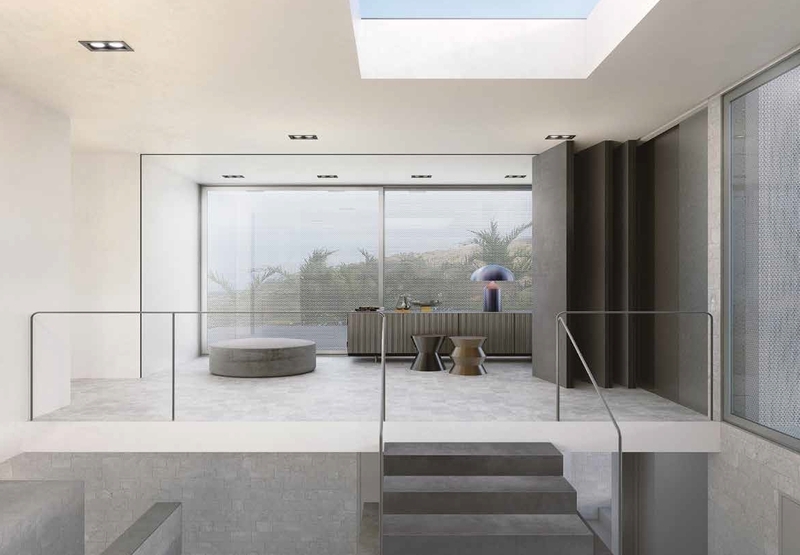 The open design of the glass walls and mobile elements blends the living spaces with the landscape creating a unique atmosphere with a fantastic view over the south coast of Madeira.